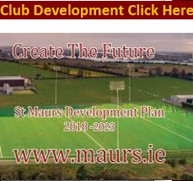 This week all roads lead to Lawless Park, Swords on Wed 31st at 8.30 pm.St Maurs ladies footballers play Castleknock in the Junior Championship final. Please come along and support the girls. 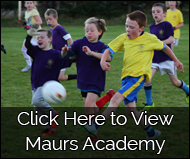 St Maurs annual Golf Classic on august 5th still has spaces to play,Contact Mal Bollard 0868068524, Derek Farren 0868474499 or Peter Monks 0879081641Venue : Rush Golf ClubGreat prizes, dinner included !